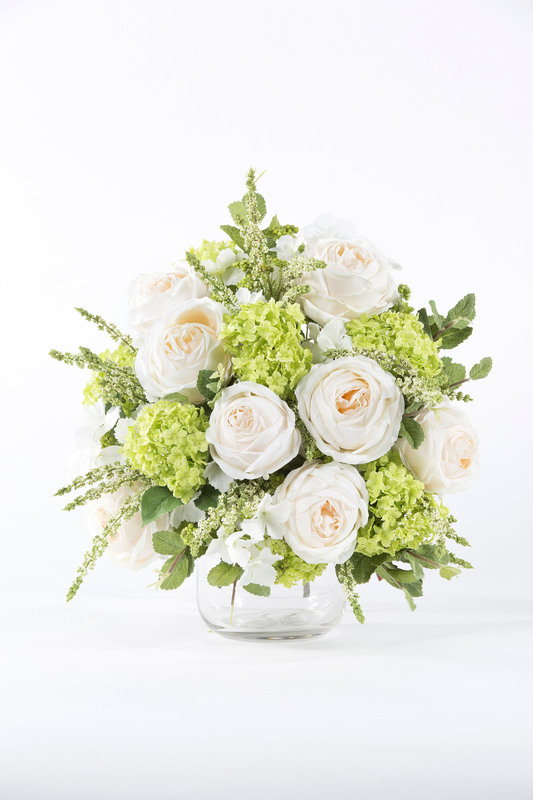 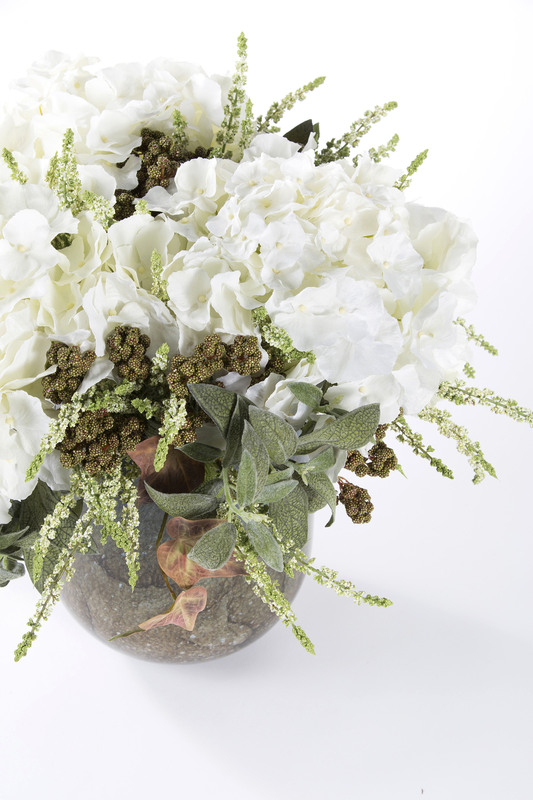 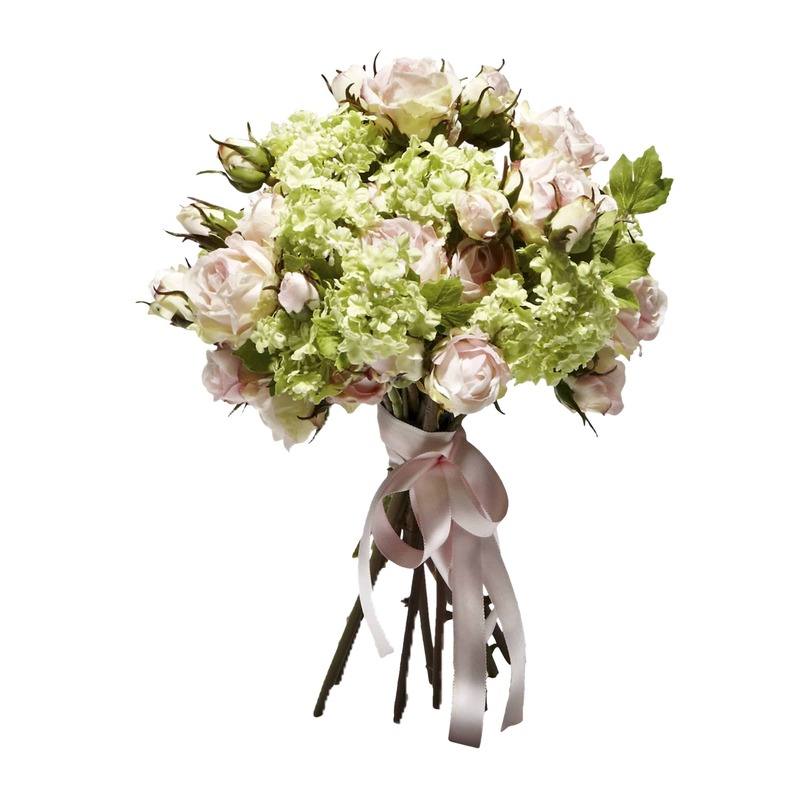 We’ve created an effortless elegance with pure white hydrangeas and white heather flowers. 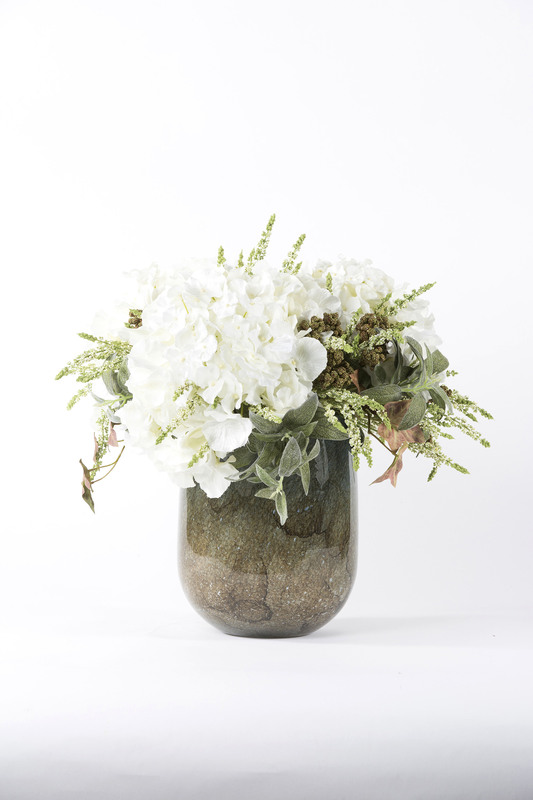 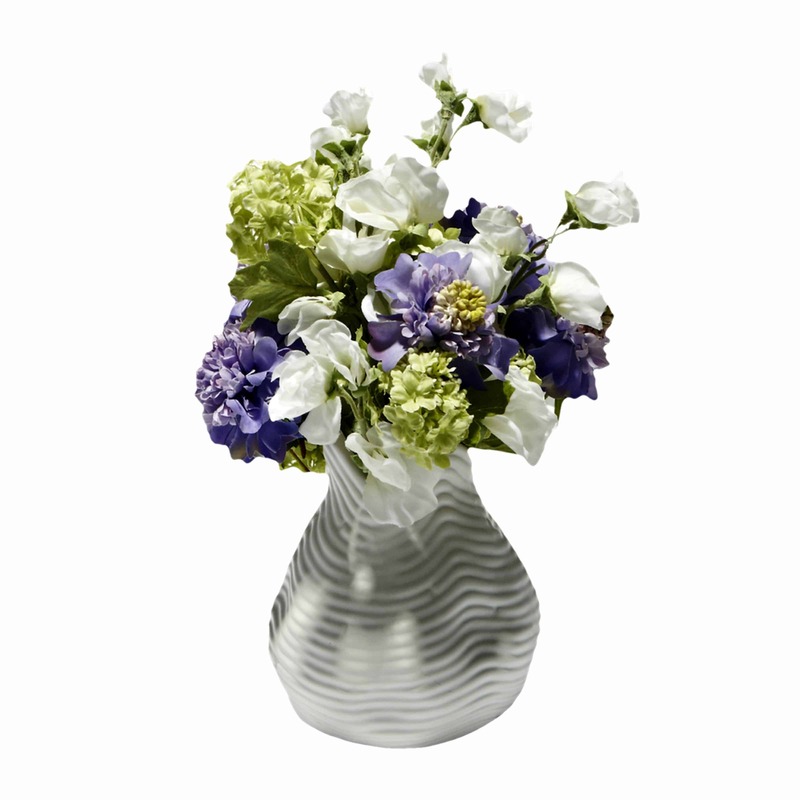 The brown safari berries and dusky grey sage are perfectly complimenting the marbled solid barrel glass vase. 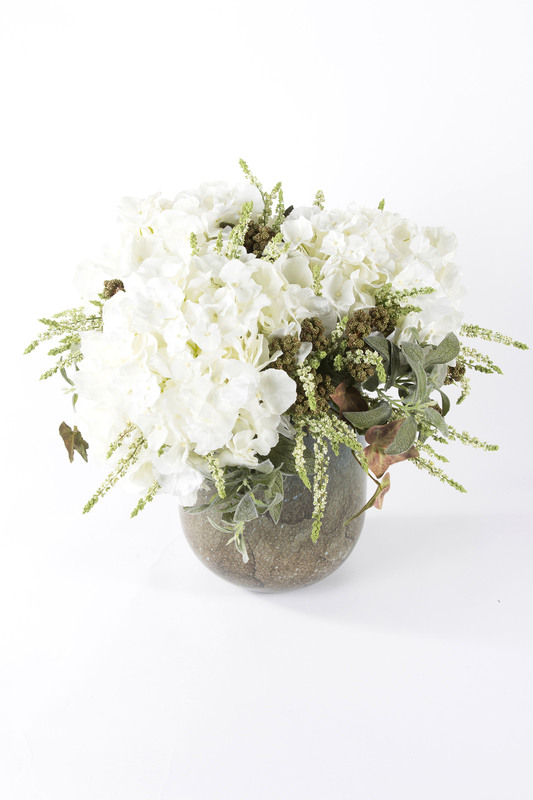 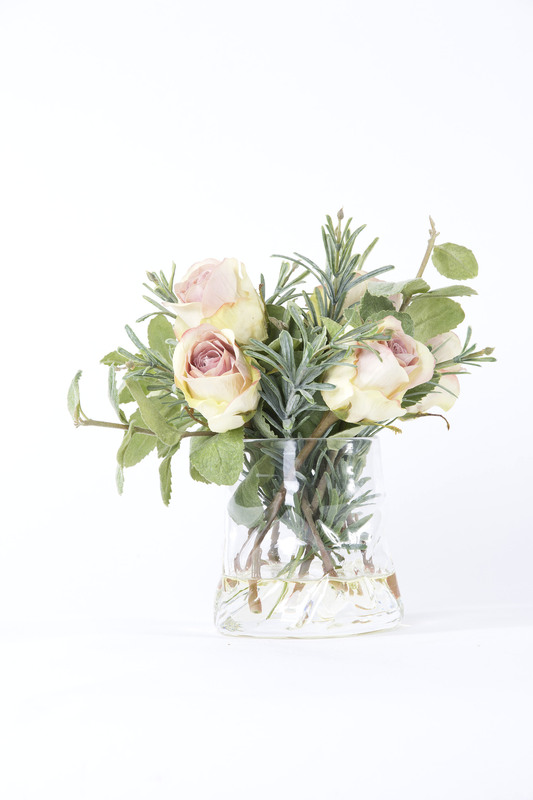 A firm favorite with interior designers for its subtle colour combination.